Armchair historians have always found the clandestine operations of the Soviet Union fascinating. Masters of espionage, Russian subterfuge is the stuff of novels and movies, providing fanciful fodder for an entire counterculture. It has even been leveraged for unusual gains, like for example, the marketing of a product. While researching the inception of the Russian Ural sidecar, I uncovered a recurring story, albeit one with many different riffs and imaginative embellishments. The essence of the narrative is one of treachery, including the theft of state property and the betrayal of a wartime ally. It describes the early years of World War II when Soviet agents slipped into Germany, secretly purloined five BMW motorcycles, and brought them back to the Motherland where they were reverse engineered and rushed into production as the Ural sidecar. It’s a captivating tale of communist chicanery and is of course pure fiction. The true story of Russia’s famous three-wheeler is decidedly less evocative, and as is the case for most stories from within the former U.S.S.R., it is a convoluted tapestry of fact and conjecture. The motorcycle is one of many innovations formed in the crucible of war. Considered by military logisticians as the better horse, it only had to be fed gasoline, could be parked in a warehouse for months on end, traveled at great speeds for long distances, and was far more maneuverable than the traditional conveyances of the day. One of the first and most interesting military applications of the motorcycle was in 1916 when American General John Pershing dispatched troops mounted atop Harley Davidson motorcycles to capture Pancho Villa during the Mexican Expedition. Had Villa not been a rider himself, it might have worked. In other parts of the world, the motorcycle was becoming a valuable asset on the battlefield. As the geopolitical glass began to fracture in the years leading up to the Second World War, the motorcycle played into the evolution of war making. With the scars of the previous conflict still fresh, the Germans feared the reprise of an entrenched war of attrition. Their new stratagem was not one of defense, but rather of offense and forceful advancement. Instead of immovable earthen fortifications like the Maginot Line in France, the Germans favored mobility, and the motorcycle fit the bill. By the late 1930s, a war in Europe was inevitable and nations across the continent began selecting their dance partners and securing alliances. German dignitaries formed tenuous accords with the nascent and unpredictable Soviet Union, furthering reciprocity which had begun years earlier with a free exchange of military resources. Under the stipulations outlined within the Treaty of Versailles, German military forces were not permitted to engage in combat exercises. To circumvent those restrictions, they secretly sent officers to the covert Kama tank school located within Russia’s deep interior. 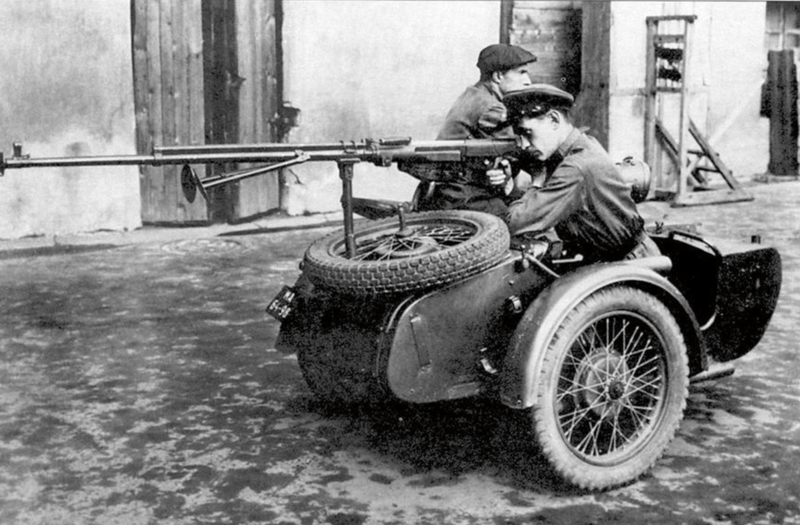 It is only speculation, but this is perhaps when the Soviets were first introduced to the German concept of swift mobility and the potential warfare applications of the motorcycle. In late summer of 1939, Berlin and Moscow had entered into a period of successive agreements in an attempt to better stabilize an uneasy coalition. Those provisions included the Molotov–Ribbentrop Pact, the German–Soviet Frontier Treaty, and the German–Soviet Commercial Agreement. The latter permitted the open disclosure of military technologies behind many of Germany’s ships, planes, artillery, and one must assume, motorcycles. All of these efforts to build an alliance were instantly dissolved when in June 1941, Nazi forces invaded Russia under Operation Barbarossa. The Soviets anticipated the betrayal and knew the Nazi’s fast-moving blitzkrieg style of attack was imminent. They had modeled some of their own tactics after those used by their former partners, including the use of the sidecar. In an early battle with Finland at the onset of the war, the Russians realized their motorcycle, the Russian-made TIZ AM-600, was inadequate so they set to work assembling a highly capable model based on the German BMW R71. There was no need to steal one from the Nazis and reverse engineer it, as the Russians had received complete design documents, tooling, and training to build their own R71 as a result of the brief period of German–Soviet cooperation. When it first hit German roads in 1938, many considered the BMW R71 the most advanced motorcycle ever built. It had telescoping forks, a welded double-tube frame, 750cc side-valve twin-cylinder engine, shaft drive, and a third powered wheel on the sidecar. So successful was the design, other nations (including the United States) would eventually make their own imitations of the BMW. Over the span of the war, the Soviets manufactured nearly 10,000 clones of the R71 called the IMZ-Ural (Irbit Motorcycles Plant) M-72. Originally manufactured in Moscow, Soviet strategists had the plant relocated to the town of Irbit in the Ural Mountains where it was closer to necessary raw materials, and most importantly out of the reach of Luftwaffe bombers. 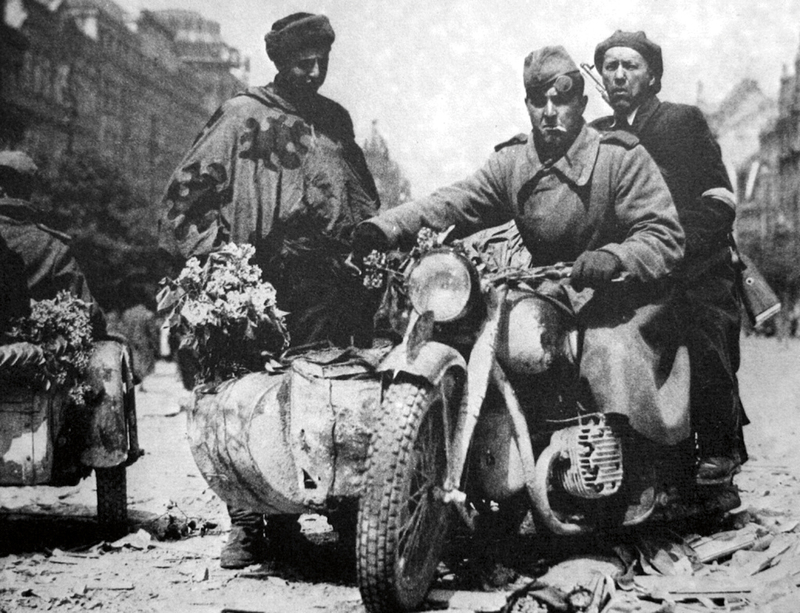 On the front lines, German and Soviet forces relied heavily on their motorcycles. Nazi Panzer divisions included battalions of sidecar-equipped infantrymen who could move swiftly across the field of battle with anti-tank guns and other weapons too heavy to carry by hand. They were also used by couriers to deliver information between rapidly advancing tank and infantry columns. The Russians did the same and deployed the M-72 for reconnaissance missions and to ferry supplies and assets where needed. Their German-designed motorcycles were reliable, durable, and highly regarded by the brave soldiers who piloted them into harm’s way. It’s impossible to fully know the impact the M-72 had on the eventual defeat of Nazi forces, but in the years that followed, the Ural would continue to prove its worth. Post-war Europe was a scene of utter devastation, and the M-72—with its two powered wheels, extra carrying capacity, and excellent maneuverability—was perfectly suited to ply the damaged roadways of the continent. 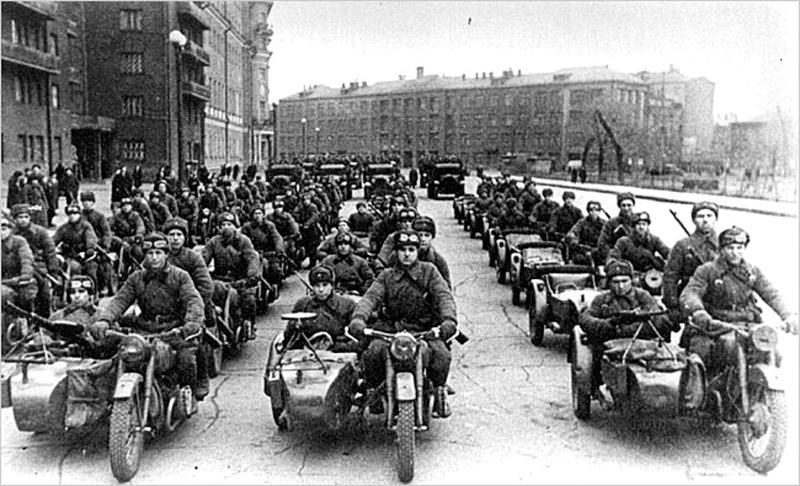 Since Allied bombers had reduced BMW’s Eisenach plant to a pile of rubble, motorcycle production, particularly those fitted with a sidecar, was largely the domain of the Irbit facility in Russia where M-72 production continued unchallenged. 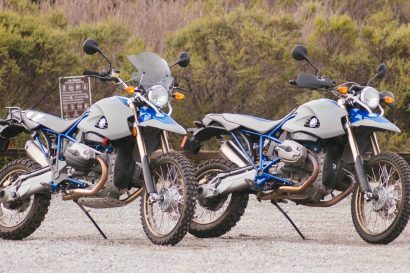 With the factory updated to meet demand, IMZ was able to produce an additional 20,000 Ural sidecars by 1950. Since the Iron Curtain was drawn tight for the next several decades, only select markets outside of the U.S.S.R. were granted access to the Ural. Most of those countries were in undeveloped parts of the world where the low cost and high utility of the sidecar was advantageous. With help from Moscow, in the 1950s the People’s Republic of China began production of their own M-72 sidecars called the Chang Jiang 750, used predominantly for military applications. By the 1970s, the Russian Ural was available in Britain through SATRA, a company specializing in the importation and sale of Soviet-made vehicles. When the U.S.S.R. finally dissolved, the Ural brand entered into a period of uncertainty which persisted until 1998 when state ownership was turned over to private interests. Under the pressures of a competitive capitalist market, the new owners quickly realized their product needed technological updates. By 2014, the 76-year-old design had been modernized with fuel injection, disc brakes on all three wheels, an alternator, and a refined crankshaft and transmission. The new machine has been decidedly good for business, with sales continuously increasing over the years. Since the first M-72 rolled off the line, more than 3.2 million Urals have been built and sold. Driving those high sales numbers is a special type of consumer appeal. The Ural sidecar, updated though it is, still smacks of the 1930s, providing buyers with the cachet of a vintage machine without many of the mechanical challenges older bikes suffer. Adventurists inclined to press hard into tough terrain benefit from the same attributes which allowed the original M-72 to plow through muddy battlefields and bomb-cratered roads. The sidecar, once employed to carry an extra soldier or crates of ammunition, is now used to accommodate extra supplies, a second travel mate, spouse, child, or even a pet. In its various forms, from the BMW R71 to Chang Jiang 750, the Ural was never fast, not particularly trouble-free, or even comfortable to ride. It has quirky ergonomics and even stranger handling characteristics that cause it to pull from one side to the other under braking and accelerating forces. Despite that, and maybe because of it, the Ural is decidedly–– fun. 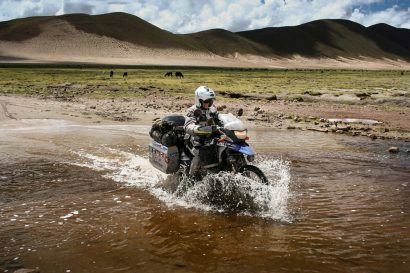 Above all, it has always been supremely capable and conquers terrain no two-wheeled machine would dare to tread. 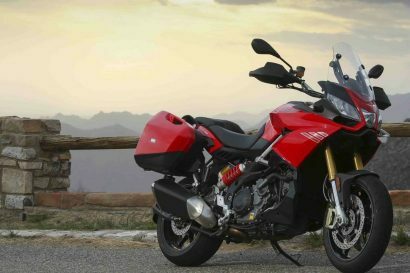 For those reasons it has become a traveler’s tool and has crossed deserts, mountain ranges, and even the frozen barrens of its native Siberia. It may not have been the result of a well-orchestrated spy mission into the inner sanctum of the Nazi regime, but the Ural sidecar does have a storied and romantic history all the same. From the war-torn Eastern Front to the curb-lined streets of modern suburbia, the Ural shows no signs of slowing down, proving once again that it is unstoppable.